Where does the Bible say that Jesus was God? I am forever thankful for those who have given their lives defending the deity of Christ. Because of their faithful study of the Word I have never questioned that Jesus was, is, and will always be fully God. They valiantly defended what the Bible declared (Heb. 1:1-3), and what Jesus himself affirmed on multiple occasions in the gospel record (John 5:17-25). Jesus was fully God. 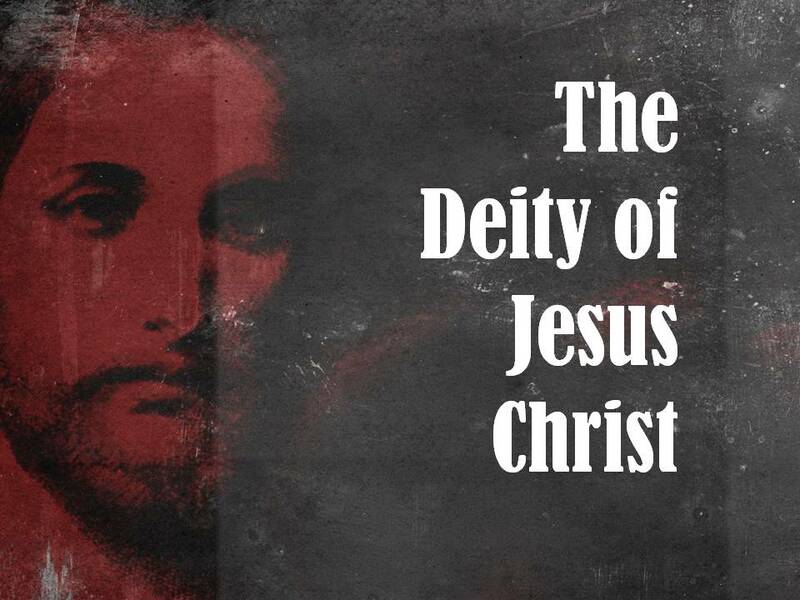 The deity of Christ is clearly presented in the first chapters of three New Testament books: the Gospel of John, the book of Colossians, and the book of Hebrews. These chapters explicitly express that Jesus is God and has been so for all eternity. Long ago, at many times and in many ways, God spoke to our fathers by the prophets, 2 but in these last days he has spoken to us by his Son, whom he appointed the heir of all things, through whom also he created the world. 3 He is the radiance of the glory of God and the exact imprint of his nature, and he upholds the universe by the word of his power. After making purification for sins, he sat down at the right hand of the Majesty on high (Heb. 1:1-3). In verse 3 some Bible translations render the word radiance as the word reflection. But this is a misleading representation of the nature of Jesus. There is a difference between reflection and radiance. The moon reflects, but the sun radiates. Jesus doesn’t simply reflect His Father’s nature like the moon reflects the sun’s light. His personal deity shines forth radiantly like the sun burning hydrogen at several hundred million tons per second. The Son is the perfect imprint, the exact representation of the nature and essence of God in time and space. Throughout the gospel record Jesus often affirmed the truth that he was fully God at the most critical junctures of his ministry. For instance Jesus was constantly attributing his decisions, his work, and his wonders to his heavenly Father. That may not seem like a big deal to us, but it was to those living in first century Judaism. In their world the claim to son-ship meant equality with one’s father. So when Jesus referred to himself as the Son of God, without disclaimer, he was communicating equal authority with God. John’s Gospel records this debate after one of Jesus’ numerous miracles. “My Father is working until now, and I am working.” 18 This was why the Jews were seeking all the more to kill him, because not only was he breaking the Sabbath, but he was even calling God his own Father, making himself equal with God (John 5:17-18). Some have taught that Jesus wasn’t really claiming to be God, but that the religious leaders misunderstood him. Ponder that for a moment. If someone were threatening to kill you, and it was all a simple misunderstanding, wouldn’t you do everything in your power to correct the misunderstanding? I would. But Jesus doesn’t correct them. Instead, he affirms that they heard him right. “Truly, truly, I say to you, the Son can do nothing of his own accord, but only what he sees the Father doing. For whatever the Father does, that the Son does likewise. 20 For the Father loves the Son and shows him all that he himself is doing… 21 For as the Father raises the dead and gives them life, so also the Son gives life to whom he will. 22 The Father judges no one, but has given all judgment to the Son, 23 that all may honor the Son, just as they honor the Father… (John 5:19-23). Jesus never denied that he was God, and when given the opportunity to clarify his position he only affirmed the truth more strongly.